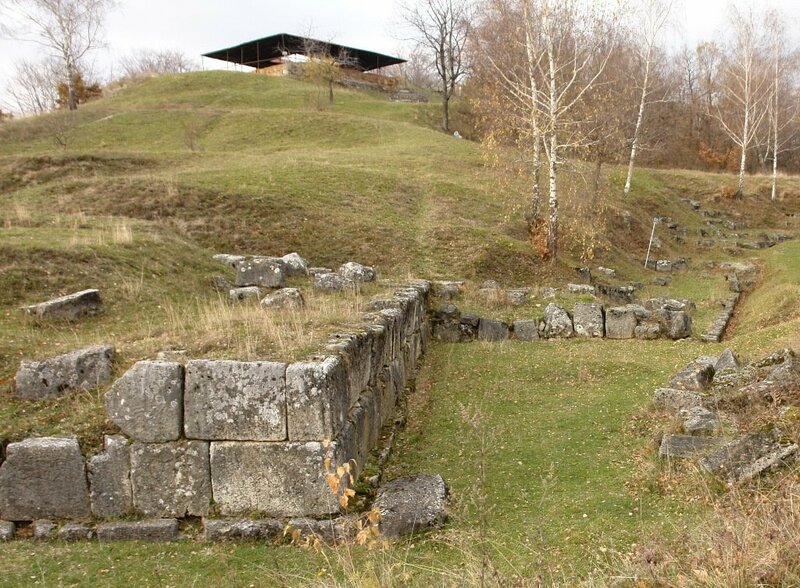 One of the most important citadels in the history of the Dacian kingdom is the Costesti Fortress. Some historians believe that this would have been the first genuine royal residence used by Dacia’s monarchs. The fortress was built in the first century BC. After the capital was moved to Sarmisegetuza, the Dacian fortress in Costeşti - Citadel took over the role of the most important strategic defence element that protected the new capital. The fortress is built on the Grădiştea Water. The top plateau of the hill on which the fortification is raised has an altitude of 514 metres. The fortress also protected the civil settlement located at the foot of the hill, whose inhabitants could flee into the fortification, in case of danger. The defence also comprised additional elements.